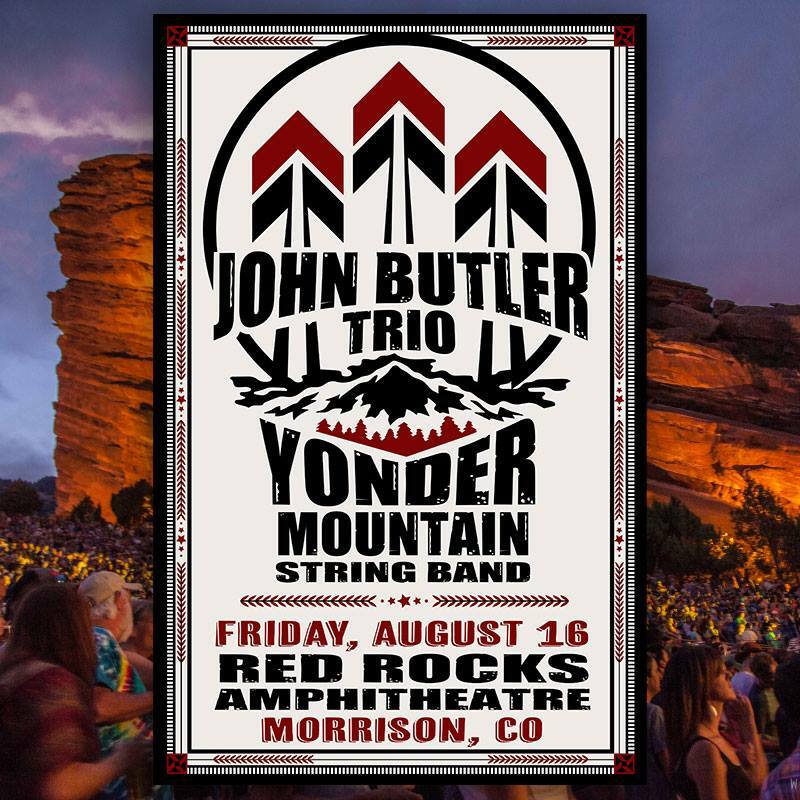 John Butler Trio & Yonder Mountain String Band comes to Red Rocks Amphitheater on Friday 16th August 2019! The Australian Alternative rockers are coming to Red Rocks and fans couldn't be more excited! John Butler Trio are one of the most understated bands out there, known for their incredible soundscape music and feel good anthems – come and catch your favorite songs plus some new surprises as John Butler and his band hit the Red Rocks stage! John Butler Trio create an incredible sound together with Jason McGann on drums and Gavin Shoesmith on bass. By 2009, the trio consisted of Butler with Byron Luiters on bass and Nicky Bomba on drums and percussion and later the line up changed to include Grant Gerathy on drums instead in 2013. Since the late 1990's they have given effortless performances that have left crowds in absolute awe of what they are about as just a trio has never ever sounded so full, powerful and at times full power heavy rock. This genre bending group has released albums; Three (2001) which hit the top 30 in the Australian album charts and achieved platinum sales. Following that came two of their most popular beautiful records, Sunrise Over Sea in 2004 and Grand National in 2007. Both are listened to as essentials for any music fan. As the records feature a wide range of instruments and styles yet flow so well and are a great soundtrack for any situation. Come and celebrate with them as they hit their 20th year on the music scene… John Butler Trio will be bringing some of your most loved tracks to Red Rocks along with their latest material. It's guaranteed to be a very special show indeed!